Lucy, a year 5 pupil from Larne, Northern Ireland, felt compelled to take action when she heard in her school assembly that money was running low for supporting their three sponsored children in Ethiopia. She quickly decided to boost funds by holding a sponsored silence over the weekend, as she didn’t like to think of their three children going without food. 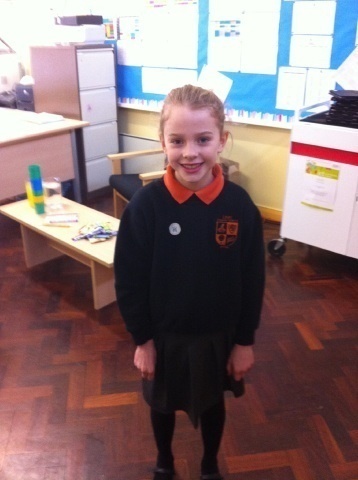 Lucy raised an impressive £13 from this one small action which helped get the sponsorship fund back on track. Linn Primary School sponsors three children in Ethiopia which they fund by holding ‘10p Tuesdays’ each week, when the pupils each bring in 10p to contribute towards sponsorship. Thanks to Lucy the funds are now replenished until the 10p’s come in again and we want to congratulate Lucy for her efforts! Find out more about child sponsorship and how you can make a difference, like Lucy.